Latest microprocessor based technology affords full programmability with complete array of features in compact ultra low cost unit. 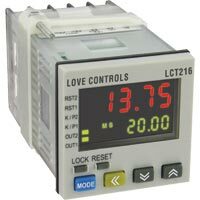 16A Series Temperature/Process Controller features universal input, Self-Tune PID, Fuzzy Logic, and dual four-digit LED displays for process and set point value. 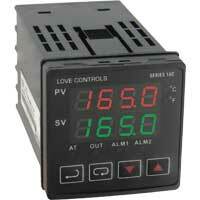 Selectable inputs can be thermocouple, RTD, current or voltage. Available outputs are solid-state relay, relay, pulsed voltage, or proportional current Programmable alarm (optional) can be reset automatically or manually. Front panel is waterproof and corrosion resistant (UL type 4X), making it ideal for sanitary applications. Replace electronics without wiring changes (via removable front panel). Self diagnostics, nonvolatile memory and selectable control modes are all designed for greater productivity. 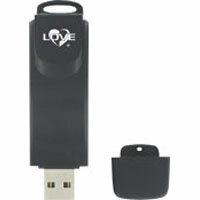 Four security levels are password protected. 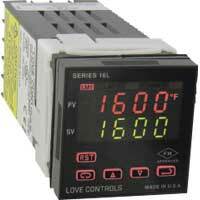 On-off, P, PI or PID manual tune control functions can be selected or the controller will Self-Tune automatically for best PID control. 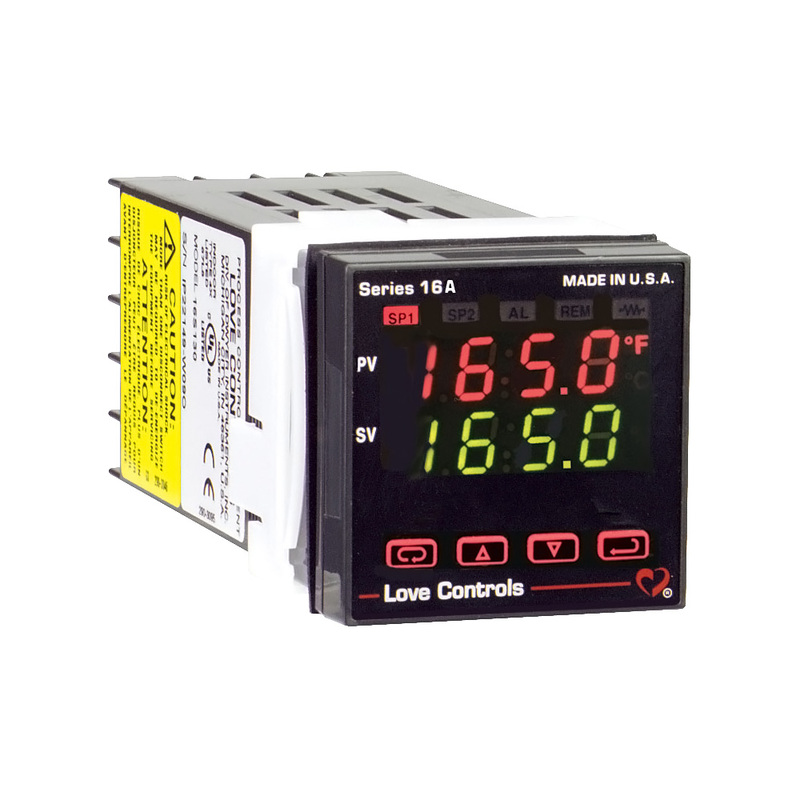 The 16A offers the best value in Standard Features in a Process and Temperature control. 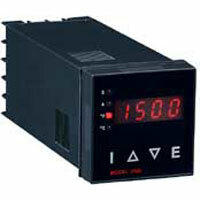 In addition to the features listed above, the 16A offers Peak/Valley indication, Percent Output indication, Digital Input Filter, and a host of others. 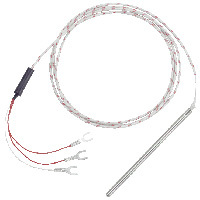 Thermocouple, RTD, DC Voltage, or DC Current. Two four-digit LED displays, 0.3 in (7.62 mm) high. 1 degree or 0.1 degree (sensor dependent), or 1 count. ±0.25% of span ±1 least significant digit. 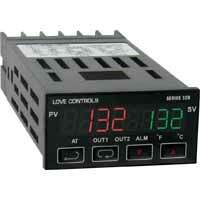 100 to 240 VAC nominal, +10% -15%, 50 to 400 Hz single phase; 132 to 240 VDC +10% 20%. 14 to 131°F (-10 to 55°C). SSR: 2.0 A at 240 VAC resistive at 77°F (25°C). 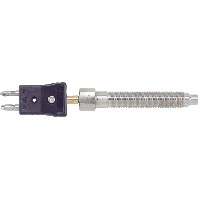 De-rates to 1.0 A at 130°F (55°C). Minimum load of 100 mA. 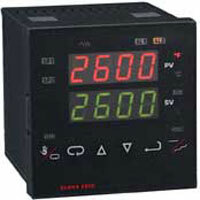 DC SSR: 1.75 A at 32 VDC maximum. Relay: SPST, 3A at 240 VAC resistive, 1.5 A @ 240 VAC inductive. Pilot Duty rating: 250 VA, 2 A @ 120 VAC, 1 A @ 240 VAC. 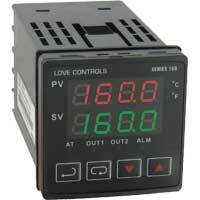 Alarm Relay: SPST, 3 A @ 240 VAC resistive; 1.5 A @ 240 VAC inductive. Pilot Duty Rating: 240 VA, 2 A @ 120 VAC or 1 A @ 240 VAC. Switched Voltage: 15 VDC at 20 mA. 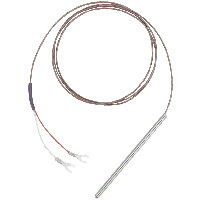 Proportional Current: 0 to 20 mADC, scalable, into 600 ohms maximum. 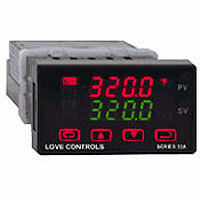 RS-232 or RS-485 with either LoveLink™ or Modbus® RTU protocol. ** These options may not be combined with each other. 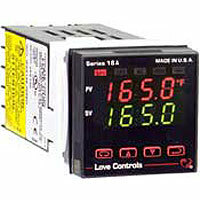 EXAMPLE 16A 2 0 1 1 934 Series 16A2011-934 Temperature Controller/Process, no alarm, SSR output A and B, with set point/process signal output 0-20 mA.